Do you want to experience adventure in the underwater world? Are you interested to explore coral reefs and underwater fishes, along with other marine creatures? 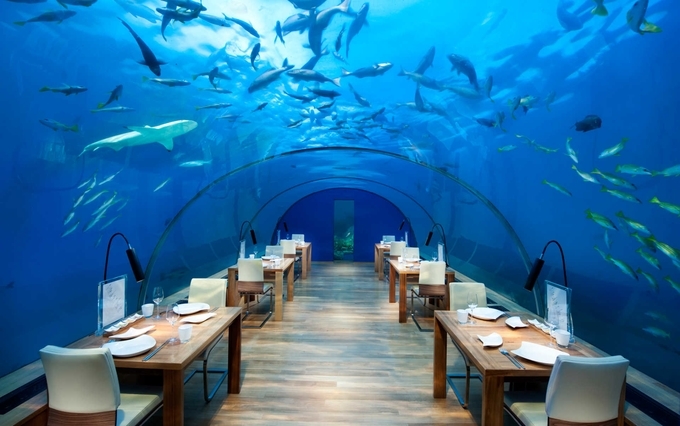 If yes, just think about scheduling your trip to islands or coastal areas to stay at an underwater hotels there. Known as a pioneer boutique hotel, Huvafen Fushi hotel in the Maldives lets you make the most of your stay in underwater hotels. As the hotel is located in a clear lagoon, it provides you with plenty of options to relax, whether it is snorkelling in any of the house reefs of Maldives, frolicking in the private stretch consisting of sugary white sand or simply experiencing a relaxing swim in the lagoons. Make sure you enjoy the panoramic views of tropical fishes in spectral colours, coral reefs and slow movements of the flow of water. 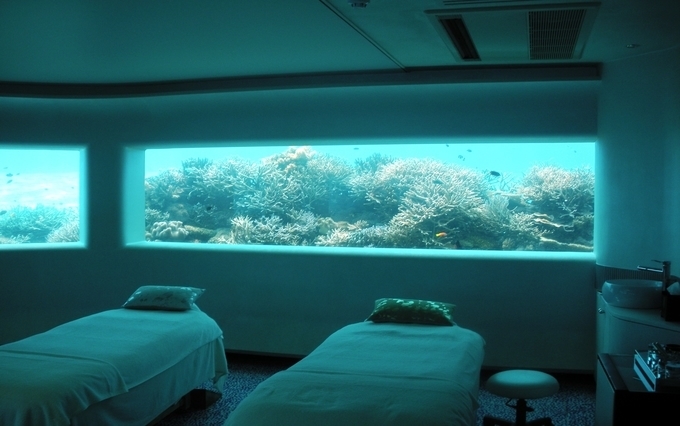 To get further relaxation, just book for a spa session offered by the Huvafen Fushi boutique underwater hotel. Other than the first underwater treatment rooms around the world, you will also find about six over water pavilions here. Experience plenty of breathtaking underwater views along with more than 65,000 marine inhabitants and views of ancient ruins of the Atlantis City in the Atlantis, the Palm hotel under the sea in Dubai. Located on an island shaped like a palm tree, it is one of the best underwater hotels worldwide and a significant part of it is home to an aquatic wonderland. It provides stunning views of the Ambassador Lagoon’s transparent blue water and various other water creatures. Do not miss an opportunity to explore its Adventure Park, Dolphin Bay to swim with dolphins, aquarium dives, to enjoy helicopter rides and boats as well as a visit to the sea lion point at this below the sea hotel in Dubai. Want to get 180-degree panoramic views of the entire underwater world, including vibrant coral gardens under the sea, just choose to stay at the Conrad Rangali Island Hotel in the Maldives. 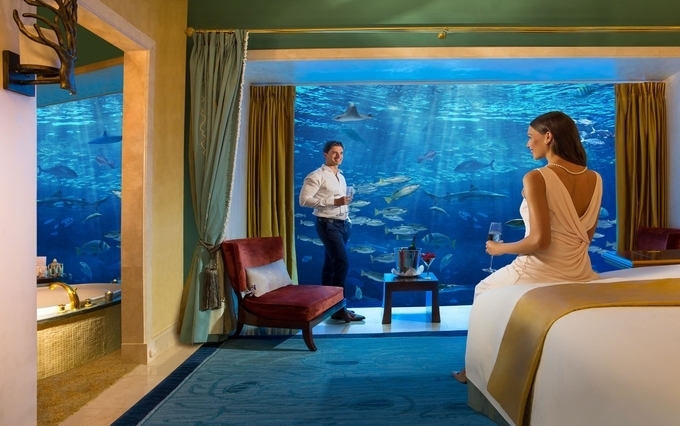 Each underwater hotel room at the Conrad Hotel provides plenty of amenities to entice guests, which include air conditioners, nightlights, connecting rooms, TVs and cable connections, duvet covers, chaise lounges, coffee makers, sofas, internet and phone access and lots more. Food enthusiasts may enjoy varieties of European food offered in their four-course lunch menu or six-course dinner menu. Do not forget to visit the water sports centre to enjoy varieties of thrilling water sports, dive with your friends at the dive centre, do light workouts at the fitness centre and get spa session from their in-house spa services. 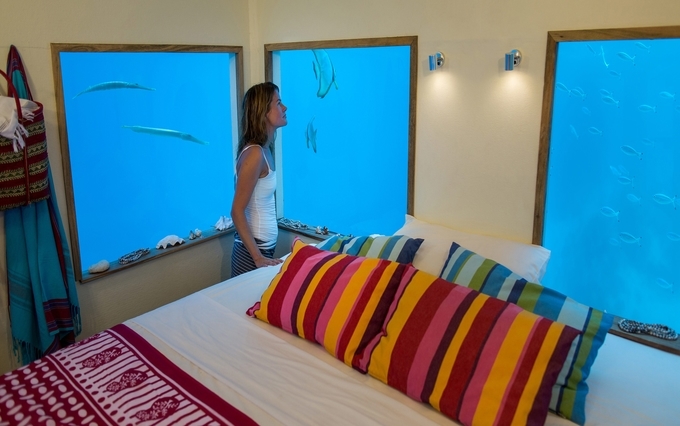 Experience a wonderful stay at the premium underwater suite offered by Manta Resort in Zanzibar, Tanzania. The resort is in Pemba Island and it offers plenty of luxurious features, like a sunbath on its top deck, dining on the water deck and an ultimate marine ambience. Do not forget to go boating, diving and sunbathing to make the most of your stay at the gorgeous Manta Resort. Other attractions at the resort are excellent seafront villas and garden rooms. Excite yet? Well, pick a location and start packing your bags. But before you do, connect with Kesari Tours for more information on the various tours available that include a stay at the underwater hotels in the world.